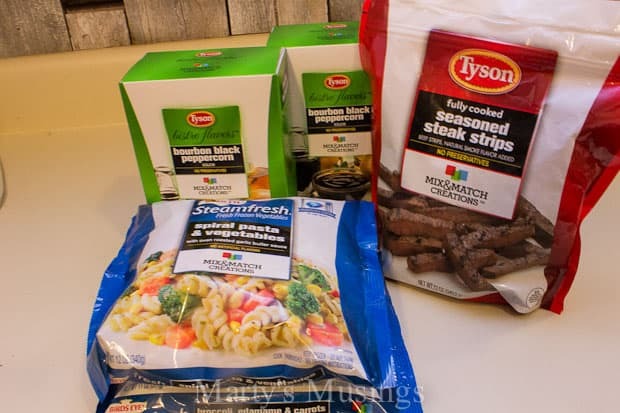 When I agreed to try Tyson Mix & Match Creations and was told you could feed a family of four for $10 I was a little skeptical. I thought maybe a family with two little kids but not with my 14 and 15-year-old teenagers! However, I changed my mind and decided to give it a go with just one of each mix & match product. Tyson’s even has recipe cards by the freezer section that will help you with deciding which meat, side and sauce you might want to try. Since we homeschool I am including meal preparation this year as part of our studies. I believe that each of my children (two have already graduated) should be able to cook a meal from scratch but also be able to follow directions on a package if they use frozen products. So I put my daughter to the test and left the meal in her capable hands. 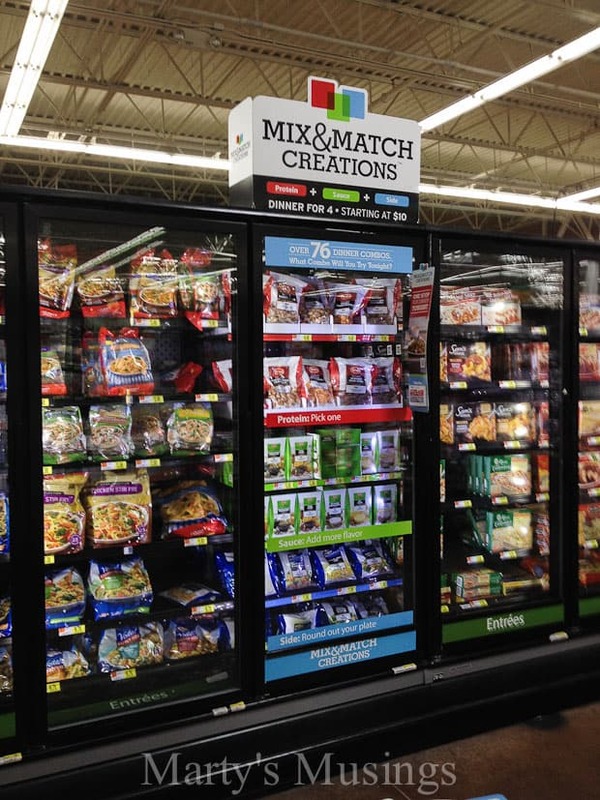 With Mix & Match Creations all you have to do is pick your favorite protein, sauce, and side to create your customized meal solution. 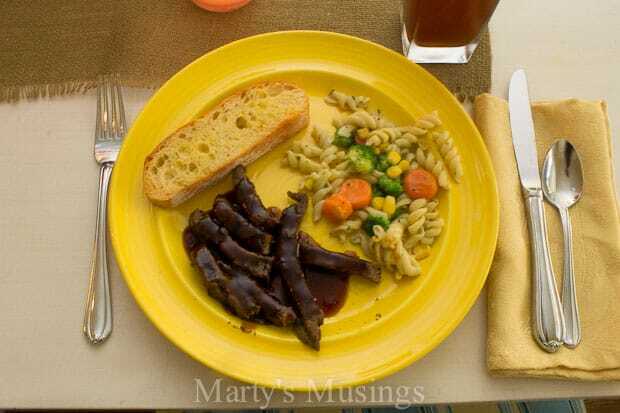 I chose Seasoned Steak Strips, Spiral Pasta and Vegetables and Bourbon Black Peppercorn sauce. I did add bread to the meal just because that helps fill up my growing teenagers! The honest truth is we loved the meal! 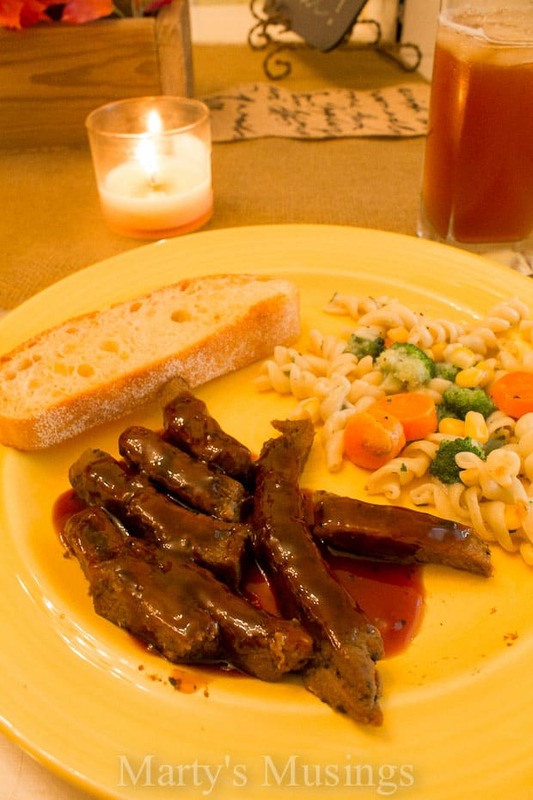 The sauce was amazing and my husband loved having steak strips instead of chicken. 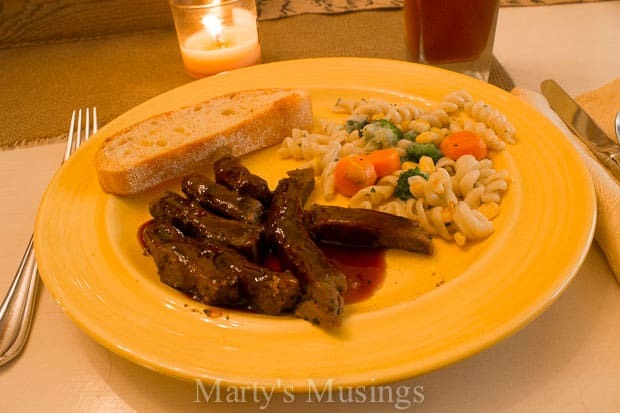 I added candlelight and cloth napkins to make our mealtime a little bit more special. Even though I’m at home still with my youngest two, I’m working full time hours and I need some options for dinner time. I love that Tyson gives me a choice of 5 proteins, 6 sauces and 8 sides. You can learn more about this product at Tyson’s website, on Twitter or on Facebook.